These large fabric ornaments give a lot of “bang for the buck” when decorating a tree. When we had a toddler, we packed away our beautiful, breakable ornaments and filled the tree with wooden ornaments and these cheery, childproof stars. Now the children are almost teenagers, but these great fabric stars are still prominent on our tree. The four coordinating red and white fabrics (two toile, a plaid, and a check) give our tree a casual, cozy, French country feel, which complements our family room, but a different choice of fabrics could completely change the look. Draw and cut a large star shape out of cardboard, allowing for a seam about an inch wide. My finished star ornaments measure about 9 inches tall and 9 inches wide. 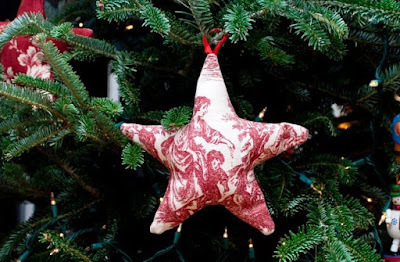 Trace the cardboard star shape onto the fabric and cut two star shapes out of fabric. Put the two stars right side (the side you want showing) together and, using a sewing machine, sew the stars together, leaving a small opening. The star should be inside out (wrong side showing). Trim to a 1/2" to 1/4" seam. At the corners of the star, trim the seam diagonally and notch the excess seam fabric to reduce the bulk so that when the star is turned right side out, the fabric won’t pull at the corners but will lie flat. Pulling the fabric through the small opening, turn the star right side out (so that the correct side is showing). A wooden dowel or something similar might help turn the long points of the star. Stuff it with batting through the small opening. Again, the dowel might come in handy to help push the batting into the long points of the star. Place the ends of a loop of ribbon in the opening, coming out so that it will serve as a hanger, and hand stitch the opening closed. 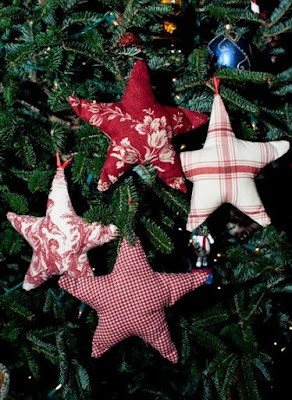 Make as many stars as you’d like and then decorate your tree! 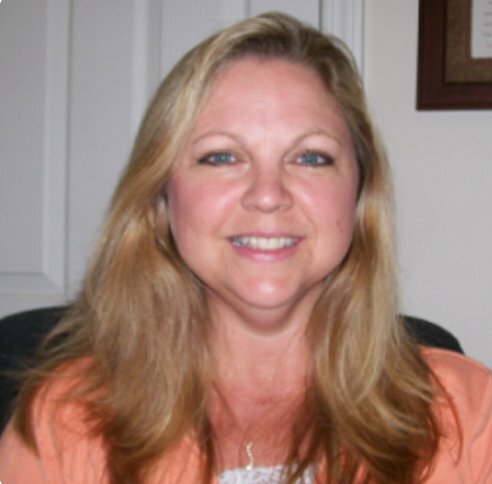 Copyright © 2010 by Rachel Gillett. All rights reserved.